One of the best HGH stimulator products on the market is called sermorelin acetate. It is taken via subcutaneous injection and is a peptide that contains just the first 29 amino acids that make up the 191 amino acid sequence of human growth hormone that our bodies naturally produce. Scientifically, this peptide is called growth hormone releasing factor 1 – 29 NH2-acetate. It is considered as being completely safe to use when prescribed and medically supervised by a licensed doctor in endocrinology (or a related medical field). There are different kinds of HGH stimulators that are sold on the market, but sermorelin acetate is the one that is most popular amongst professionals who prescribe hormone replacement therapy (HRT). It is used as an alternative to the pure 191 amino acid sequence human growth hormone when a doctor feels that it will create the greatest amount of safe change. How does sermorelin acetate work? Sermorelin acetate, when subcutaneously injected into the system, stimulates the pituitary gland (the gland that produces growth hormone) to work to pump out GH. It promotes the natural production of this hormone so that symptoms of a deficiency will disappear and a person can perform at optimal health. Call our clinical advisors using our toll free number to discuss your symptoms, your goals for therapy and to ask all the questions you have about HRT. You will have a conversation with your advisor that should be comfortable and easy. Together, you will both decide if HRT is right for you and if using an HGH stimulator will be best for you. Many of our patients have asked us, “Do HGH stimulators really work?” We have answered them, “Yes!” We have then shared how they work. You will get tested to ensure that your symptoms are most likely being caused by a growth hormone deficiency. This is when your advisor will set you up with an appointment in a local clinic in your city to get a blood test and a physical exam. You will also need to fill out a medical history form that can be found on our website. After all testing is completed, the results will go back to our doctors to be analyzed. We must make sure that you are dealing with a bona fide GH deficiency before we can diagnose you and write your prescription and individualized, tailor made treatment plan. When those first three steps are done, you will be shipped a kit of everything that you will need to start therapy at home. This is when you will truly find out the answer to your question, “Do HGH stimulators work?” You will find out first hand because you will start to feel benefits occurring very quickly. Are HGH stimulators safe? The best way to ensure that the HGH stimulator you are using is safe is to get it from a reputable clinic. This way you will know that you are getting exactly what you need and that the medication is 100 percent real and pure. 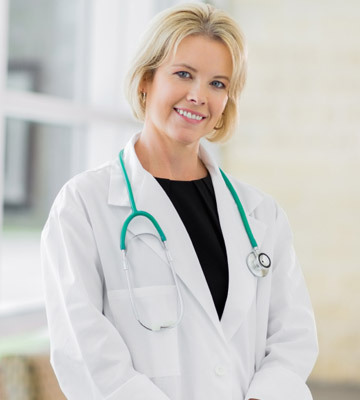 In addition, you will be getting ongoing medical supervision to make sure that your treatment experience goes smoothly and you do not experience any negative side effects. Human growth hormone stimulator side effects will usually be very rare because these products are considered very safe to use. Problems will only usually arise if a patient is allergic to a medication and the only way to find this out in most cases is to take the injections. If any kind of unexpected reaction occurs, you are encouraged to call your clinical advisor immediately. He or she is always in close contact with our doctors and a medication can be stopped or a dosage can be altered at any time during the course of therapy. In addition, problems can occur if a person buys HGH stimulators from unknown sources, from overseas or from unqualified sellers on the Internet or elsewhere. Understand that HGH stimulators are safe when they are used correctly with medical monitoring. This is why people are always urged to only use well known, successful HRT clinics for their hormone replacement therapy needs.